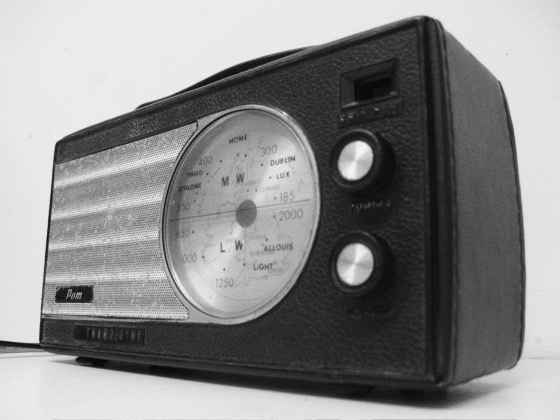 TWITTER RADIO allows you to tune into the the public twitter stream using a 1950s transistor radio. Four stations are available for your listening pleasure:'Happy', 'Negative', 'Questions?' & 'LOL'. Use the tuning dial to scan between noise to find anonymous thoughts read by a computer synthesised voice. Created for Live Performance Systems and Interaction module at SARC.